If you happen to be the proud owner of a digital die cutter, here's a quick giveaway that might interest you. With Halloween drawing near, Cecelia Louie of Etsy shop Crafting Creatures will be emailing a set of digital files to make these coffin treat boxes to one lucky winner. The clever favors just might be the hit of your party... Death by Chocolate, Rest in Pieces, haha! Cecelia says, Who has time to watch glue dry? Origami fold your die cut paper Halloween coffin into shape. The creepy coffin top and bottom comes with 6 cover designs and 3 extra spooky props. The digital die cutting file types include SVG, DXF, and STUDIO. Photographed folding instructions in PDF complete the package. To enter, leave a comment that names the treats (or tricks?!) you plan to put inside the coffins. If you happen to be on Facebook, you may Like Crafting Creatures as an extra entry - be sure to state in your comment if you did so. The giveaway will end Saturday night - yep, tomorrow! - at 9 PM Eastern. 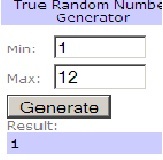 The winner will be selected by Random.org and announced on this post soon afterward. Cecelia will email the files to the winner, so please be sure to include your email address within your comment if you don't have a blog or website where it is readily available. Good luck! For those of you who don't have a Silhouette or other die cutter, we can't have you feeling left out... perhaps make a whole colony of origami bats this weekend instead! Congratulations to Kathy of Not Just Embroidery! Cecelia will be emailing the files to you soon. Thanks for entering everyone - you all had great ideas for filling the boxes. Sweet Tart Bones and white pretzel bones - I never would have thought of those! Candy corn! what else? Oh, and bones!! I like cecelia's page on facebook.This is such a clever idea.I would put chocolates in it. i think the sweet tart bones would be cute in these! thanks! Caramel candy corn of course! I'd take pretzel sticks & cover them in white chocolate melts & fill the coffins w/ the "bones." I would put candies and pretzels and maybe little fortunes. I can also use those for my huge Halloween party. They would look cute on the table with all the food. I would love to have these. Love those cute coffins!! I would put anything chocolate!! I liked you on Facebook,glad to find you.I just love crafty people!! Great Giveaway! I'd put something like gummy worms or chocolate skeletons in them. Trick or Treat...not original, but it says it all! I'd love to fill them with chocolate kisses! But, since I'd be making them for my students, and candy treats are not allowed, it'd have to be Halloween pencils, erasers and spider rings! Giveaway comments are now closed. Thanks for entering everyone!